Hope everybody is well and doing great! At present I’m passing very busy time with my present JOB, that’s why since last few months I have been unable to publish any new topics. However, at-last today I’ve just sat to write a new article for all of you. My today’s topic is based on a Modern print technology. The name of this print technology is Dye Sublimation Print. 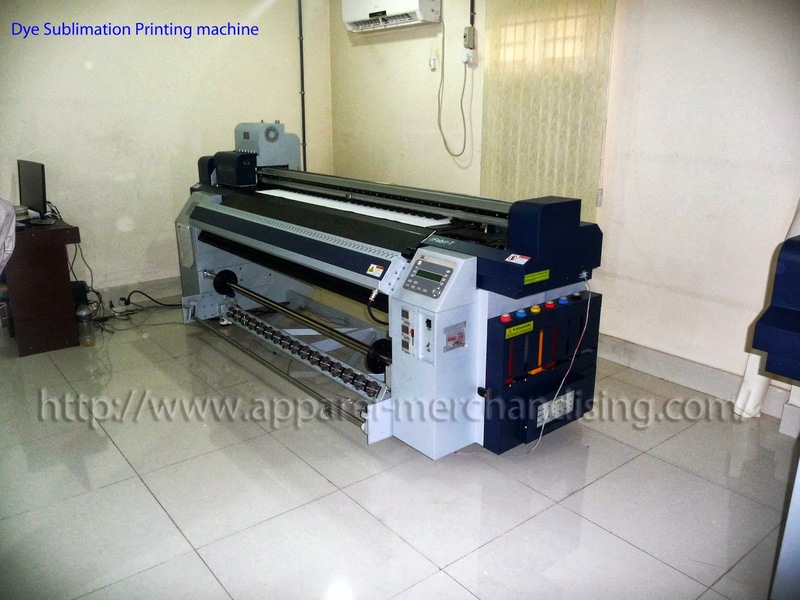 Introduction: It is a totally new technology for printing sector. It’s been the most modern technology in the printing. It’s really a new experience for printing world. Many people also called this print as thermal Dye Sublimation print. Dye Sublimation print are not works like a normal screen print or rotary print. In the normal printing process we put a layer of color on the fabric or on the other printing surface. But the technology of Sublimation prints totally different than normal print. The sublimation process dyes the fibers of a garment, instead of putting a layer of ink on top of the fabric or the specific surface. This different printing process has given the unique advantage to the Dye Sublimation print. Dye Sublimation print, are made from special sublimation dyes which penetrate synthetic materials (such as Polyester) when we apply pressure and heat. During the transfer process, the dye heats up and turn into a gas that bond with the synthetic portion of the fabric. As in this printing process the dye makes a bond with the synthetic fiber so it must be used with fabrics that have a high polyester content, at least half of the total composition. That’s mean more synthetic in the fabric, the better print quality. Dye Sublimation print works based on CMYK technology. No print screen is needed for this print. We make the design in the computer then directly transfer the design into the printing machine. Not only technical printing process but also physical processes is different than normal screen print. There are total two main steps. First step: Do the print on paper 2nd step: Transfer the print from paper into fabric. In normal screen print we put the fabric cut panel on the table then put the ink/color layer on it. But in the Dye Sublimation printing process at first we do the print on a special typed paper by using the printing machine. Then we transfer the print from paper onto fabric by using heat and pressure. The printing machine is like as a big bubble jet printer. The printer head move from each side to another during printing the paper same as the real printer. This printing machine has total 04 (four) different basic colors on it to make the print. 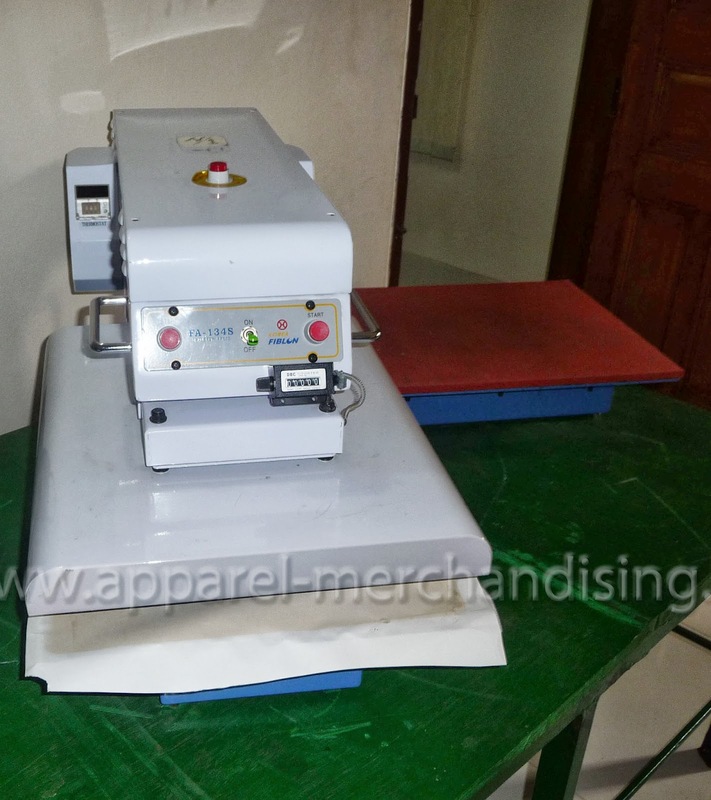 After complete the print on paper we transfer the print on the fabric by using a heat press machine. As this printing technology the dyes make a bond with the fiber so the image cannot crack, peel, or wear off. It looks like a real one without any hand feel. This print is longer lasting than any other prints. The image quality looks like new after several washings. Also remain like a new one after many days uses. We can do this print within very short time notice because this printing technology does not need any Film, Screen, Scraper etc. There is no color making and mixing process, just separate the color in a computer and send the command to the printer. The printer will do all other things. As we don't need to lay the fabric on a print table so it consumes very small places. We can easily set up a printing factory in a small, long floor is not needed, this will help us to reduce the printing cost. This printing technology has some disadvantage also. The main disadvantage is fabric composition related.You can't do this print on 100% cotton fabric. If you do this print on 100% cotton fabric then print may washed out and quality will be not good as you expecting. The minimum requirement is 60/04 CVC fabric and the best is 100% Polyester. If you do this print on 100% polyester then the quality and effect will be great. And also you will be get 100% wash guaranty. The another disadvantage is - this print is not possible on Black color fabric. If you really want to do this print on Black color fabric then - You need to print white color full body fabric by Black color. Then on the following Black color print you may print another color as per your requirement. But in that case price will be much more higher than normal Sublimation print. Also the print cost is much higher than screen print which is another disadvantage of this print. 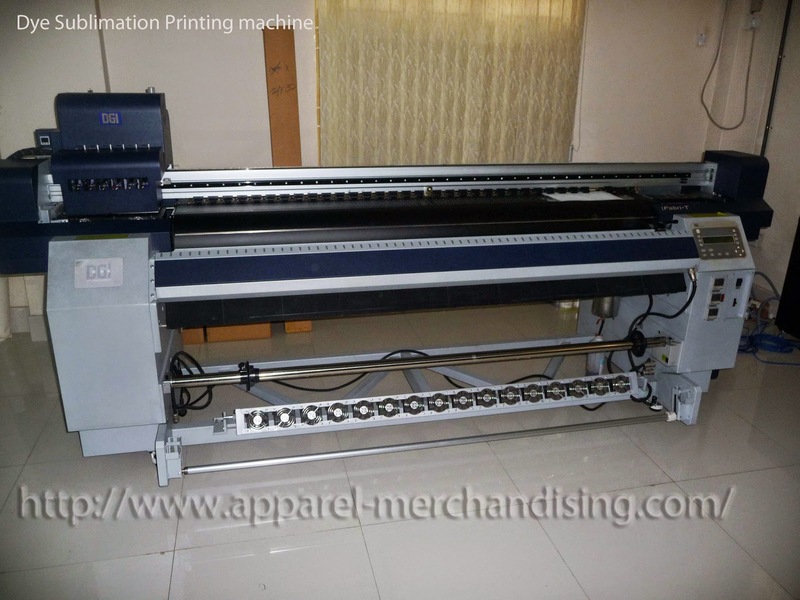 The printing cost of dye sublimation print is much more higher than normal screen and rotary print. Which is another big disadvantage of this print. A medium size chest print rate is $11.00/dozen on a white or light color body, where we can do the same print by screen printing only @ $3.00/ Dozen. 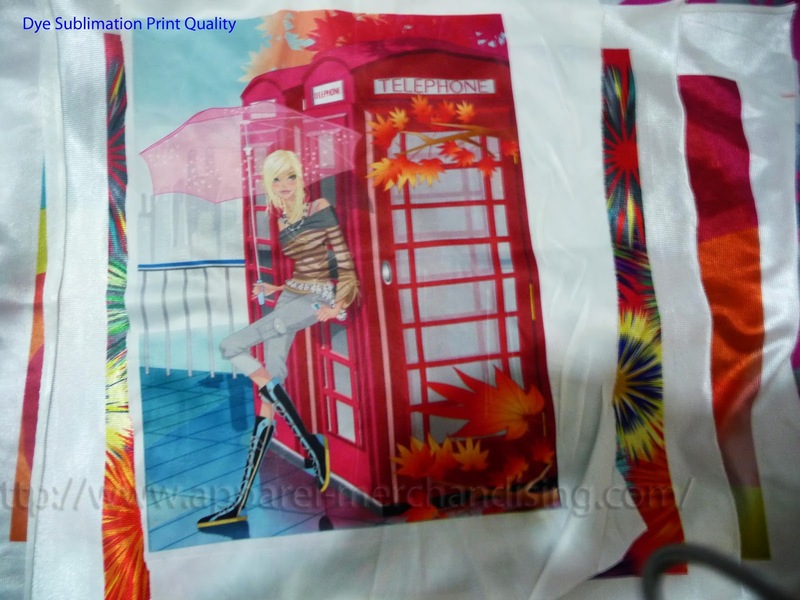 In this regards please remember one thing that, print quality and stability of this sublimation print are also 10 time better than normal screen print. If you want to make the print on Black color or any other extra dark color fabric then you need to pay another 6x price (Dollar). So, if you want to do the same print in black color fabric which normal print price is $11.00/dozen then the price will be $11.X6 = $66/dozen. Please wait I'm explaining you that, why the price is so much higher. Every technology has some limitation. Sublimation print also has some limitation and the main limitation of this print is " The print didn't show on the black color fabric". That's mean the print can possible on black color fabric but it will be not visible on it. So, at first we need to print white color fabric with black color. Then we can print our require color on this printed black color. So, for black color we will print the whole front part + back part and sleeve with black color and then we will print our require print. Conclusion: Actually whether you will do this print or not it will be depends on you quality requirement. Also we need to consider the prices. Normally this Dye sublimation print is used in sports wear. Wow!Its really amazing and attractive job you have done,Thanks for sharing Modern print technology with us. its been long since u publish your last post. i always wait eagerly for ur post. Basically i want to set up a Dye Sublimation Printer. SO i need to know more. Nice Post.Thank you very much. I want to set up a Dye Sublimation Printer. I need to know more.May i get you help me,please? Can i get your mail id or some more time?